Charles Joseph LaTrobe Esq. Superintendent of the Port Phillip District Sept 30 1839 Sworn in Lieutenant Governor of Victoria on its separation from N.S.Wales July 1. 1851 This gentleman, who is the 3rd son of the Revd C. J. LaTrobe by his marriage with Miss Sims, the daughter of a clergyman of an old Saxon family in the west Riding of the County of York, was born in London on the 20th March 1801. Descended from a noble French Protestant family (which emigrated from the south of France on the revocation of the Edict of Nantes in 1685 and settled in Ireland) and originally destined from the Christian ministry he was educated with his broths among the Moravians. To the early impressions received during his residence among these esteemable men, no less than to the pious example of his more immediate ancestors, who took an promising part in the great efforts made at the close of the last and commencement of the present century for the spread of Christianity throughout the world, may be ascribed that spirit of active an untiring support of Christian Mission and Charitable Institutions which so eminently distinguished his character during the many years he ruled over this Colony. After some years of travel in America and the continent he was selected in 1837 by Lord Glenelg then Secretary of State to undertake the tour of the West Indian Colonies for the purpose of reporting upon the application of the funds voted by Parliament for the education and moral improvement of the negroes. Having made his report to the Government on the completion of that arduous service he was appointed Superintendent to this Colony, then known as the Port Phillip District, and remained at the head of affairs ? 14 years. 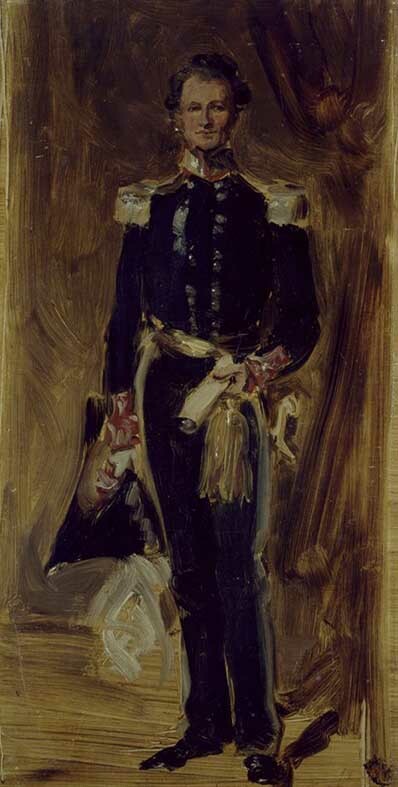 At length feeling the necessity of repose he resigned the Lieutenant Governorship and returned to Europe on 5 May 1854. Governor Charles Joseph La Trobe visited Ballarat towards the end of September 1851. The East Riding Record Office, Yorkshire, England holds records pertaining to Charles Hotham and Joseph La Trobe. Correspondence 1853-55 includes: "Letter 9 January 1854 Duke of Newcastle to Lieutenant Governor La Trobe on the extraordinary expenses of sending out a governor where there is no established residence, and letters dated 20 March 1854 and 1 May 1854 La Trobe to Newcastle on political affairs, the state of Victoria, accommodation for Hotham, and his personal desire to return to England as soon as possible; correspondence 1854 between Charles Hotham and R. Airy, Horse Guards, obtaining the appointment of Richard Hotham as his A.D.C. ; draft of secret and confidential despatch 27 January 1855 Hotham to Secretary of State with reply 1 June 1855 concerning the use of secret service money to control the agitation against the government in the colony; statement 1 February 1855 on the trials of the prisoners from Ballarat". In May 1854 Charles LaTrobe retired. LaTrobe died on 4 December 1875. The Melbourne Argusreported: "We have received intelligence by cable of the death of Mr. Charles Joseph La Trobe, who more than twenty years ago occupied the position of Governor of this colony. 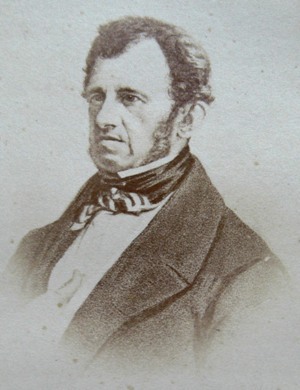 Mr. La Trobe was appointed Superintendent of the Port Phillip district on September 30, 1839, and was sworn in as Lieutenant Governor of Victoria on its separation from New South Wales, on July 1, 1851. He was the third son of the Rev. C. J. La Trobe, by his marriage with Miss Sims, the daughter of a clergyman of an old Saxon family, in the West Riding of the county of York, and was born in London on the 20th March, 1801. Descended from a noble French Protestant family (who emigrated from the south of France on the revocation of the Edict of Nantes, in 1685, and settled in Ireland), and originally destined for the Church, he was educated with his brothers among the Moravians. After some years of travel in America and on the Continent, he was selected in 1837 by Lord Glenelg, then Secretary of State, to undertake the tour of the West Indian colonies, for the purpose of reporting upon the application of the funds voted by Parliament for the education and moral improvement of the negroes. Having made his report to the Government on the completion of that arduous service, he was appointed Superintendent of this colony, then known as the Port Phillip district, and remained at the head of affairs for nearly fourteen years. At length, feeling the necessity of repose, he resigned the Lieutenant-Governorship, and returned to Europe on the 5th May, 1854. He was married in 1835 to the third daughter of M. de Mont Mollin, a gentleman of high position and consideration in the principality of Neufehatel, in Switzerland. This lady died in January, 1854, leaving four children, and her death shadowed the last few weeks preceding Mr. La Trobe's departure. 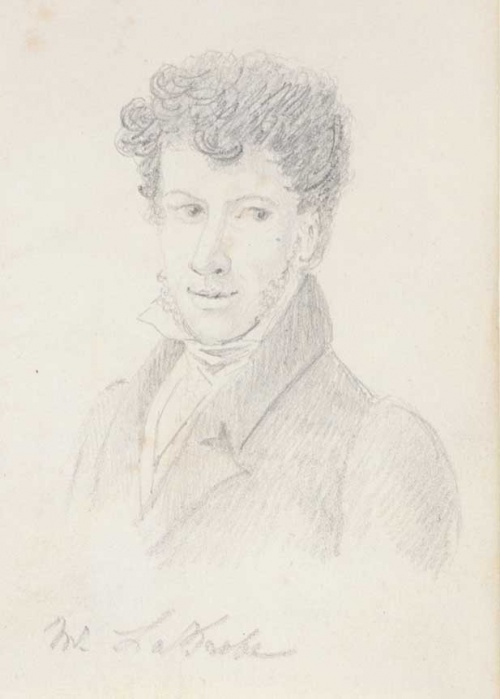 Jill Eastwood, 'La Trobe, Charles Joseph (1801–1875)', Australian Dictionary of Biography, National Centre of Biography, Australian National University, http://adb.anu.edu.au/biography/la-trobe-charles-joseph-2334/text3039, published first in hardcopy 1967, accessed online 8 June 2017. ↑ N.C. Officer administering the Government,National Library of Australia, MS 264/21, researched by Dorothy Wickham September 1994. ↑ Eureka: The First Australian Republic?, Ballarat Fine Art Gallery and Public Record Office Victoria, 1997, p1. ↑ Supplement to the Ballarat Courier, 27 March 1998, p. 3.